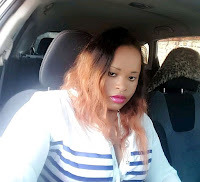 Wednesday February 13, 2019 - Judy Wangui, the chief suspect in the murder of business lady, Mary Wambui Kimangara, has claimed that police officers in Juja have been sexually harassing her for the 10 days that she has been detained at Juja Police Station. According to her lawyer, Cliff Ombeta, investigators inserted chilli pepper in her private parts with the intention of forcing her to confess about her role in the gruesome murder. She said police were forcing her to recant an earlier statement that had implicated Wambui’s husband, Joseph Kori, to the murder. Wangui is accused of killing Mary Wambui by hitting her with a pressure cooker inside her own house at Fourways Junction, Kiambu Road after a love related argument, where Mary Wambui found her husband’s photos on the wall and a log book belonging to a Mercedes Benz identical to hers at Judy’s house. She later called a car hire businessman, Mr Michael Githae Mathenge, to help her get rid of the body in the wee hours of the night. They dumped her body at a dam near Courtesy Beach Club, along Thika Road. During the court session, the prosecution requested both suspects to be detained for fourteen more days.